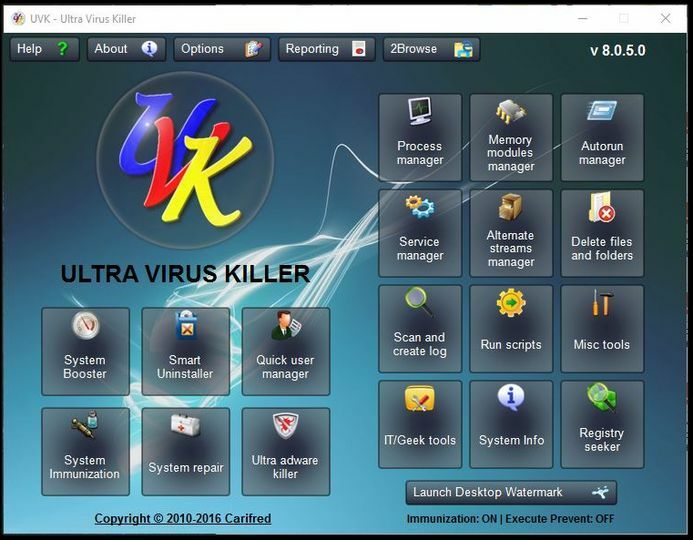 UVK - Ultra Virus Killer is a tool that can help users remove a wide variety of malware types using various features. It also has features related to Windows optimization, maintenance, repair and information retrieval. 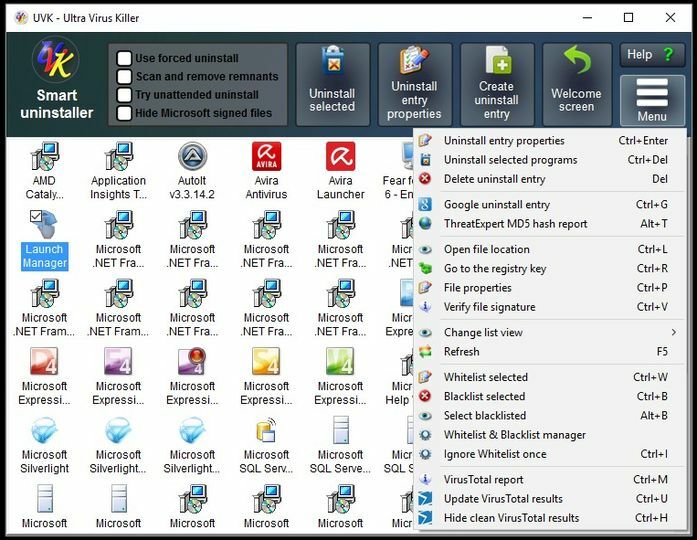 It includes, for example, a Process Manager, an Autorun Manager, a Windows Services and Drivers feature, and so on. 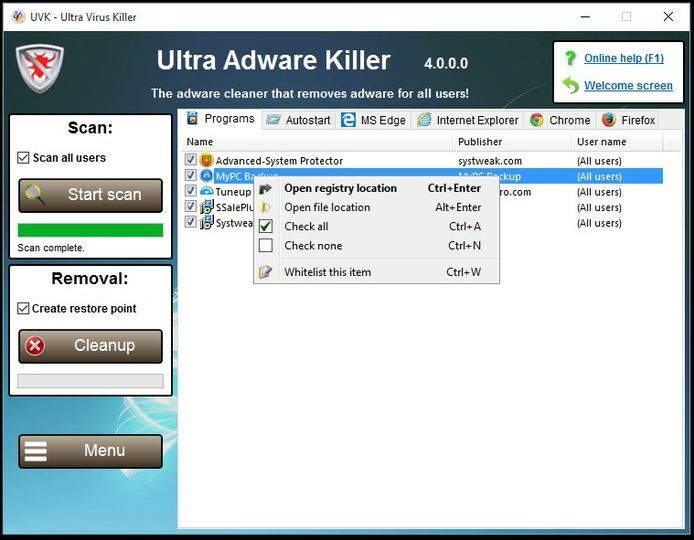 While most of the functionality of this software works without buying a license, there are some advanced features that are limited only to paying users. NOTE: This is a portable version of UVK.